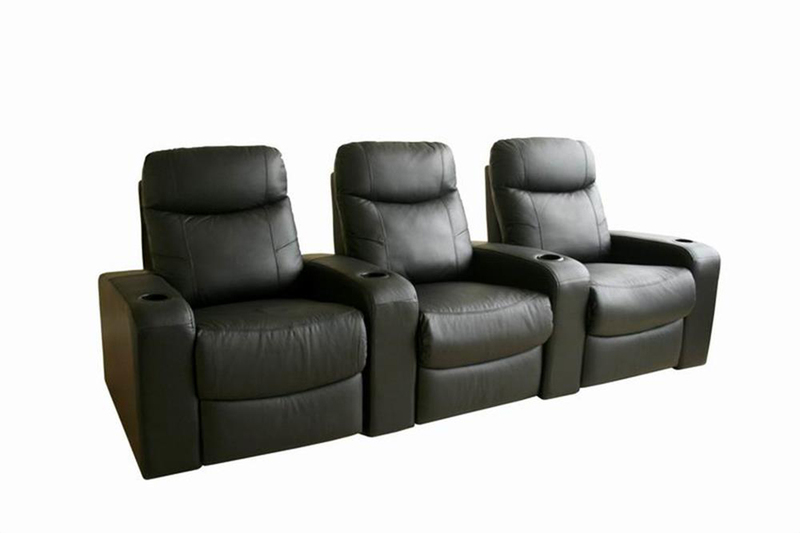 The Cannes Home Row of 3 Theater Seating is a best seller, and it is easy to see why. 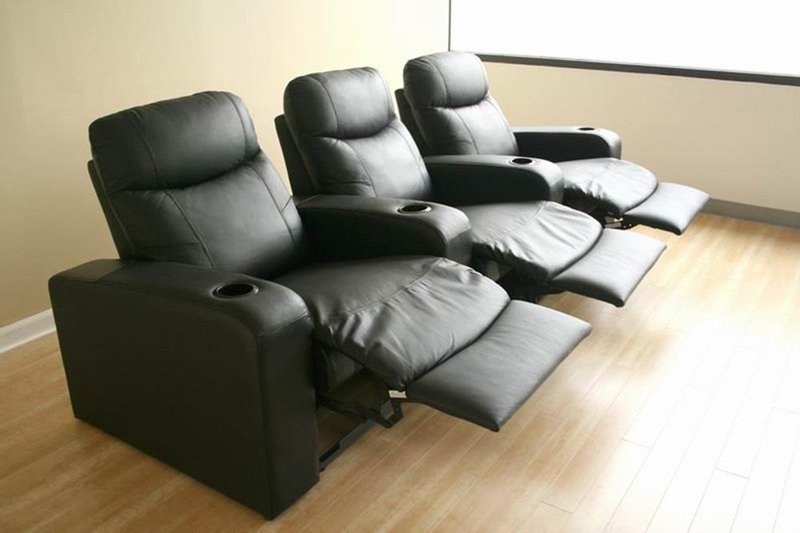 Its attractive design is versatile and includes highly sought-after home theater features: built-in cup holders on each armrest, a smooth manual reclining mechanism with extending footrest, and genuine leather upholstery, which is paired with a high-quality, closely-matched leatherette on the backs and sides. 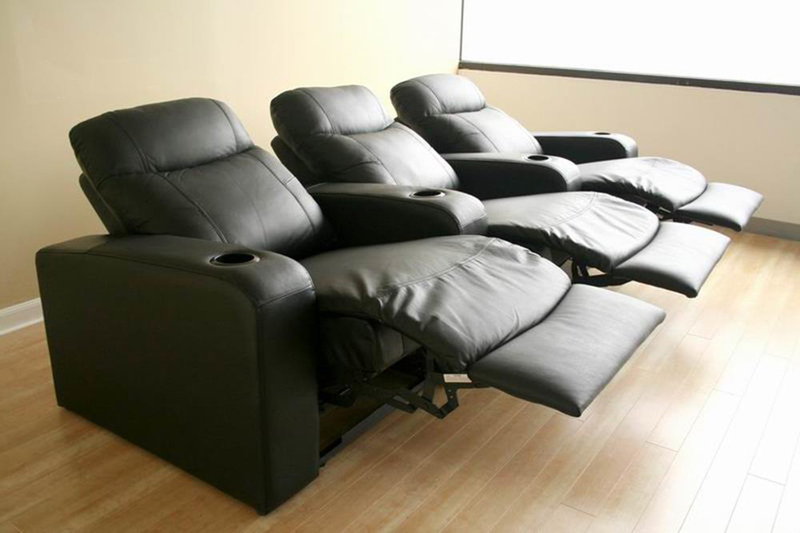 The comfortable high-density foam cushioning is medium firm in support. 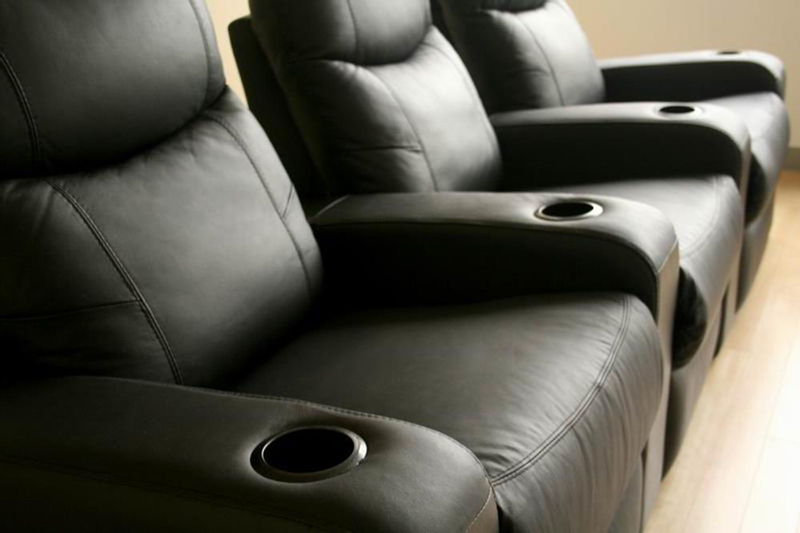 The frame is constructed with kiln-dried hardwood, which serves as a base for many years of enjoyment of watching films, television, sports, or simply gathering with friends and family. Simple assembly is required.